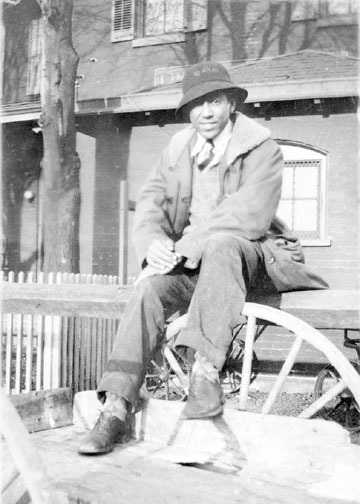 After high school, Langston went to university to study science. His wish was to study English. But his dad would not let him. A lot of people at university treated him badly because he was black. So Langston dropped out after two years. Then he went to work. He was a cook. He washed clothes. He worked on a ship. He also worked as a busboy at a hotel. He cleaned tables and dishes. But he still dreamed of being a poet. See Chapter 5 in BC Reads: Adult Literacy Fundamental English – Course Pack 2. Langston Hughes at university by Yale Collection of American Literature is in the public domain. 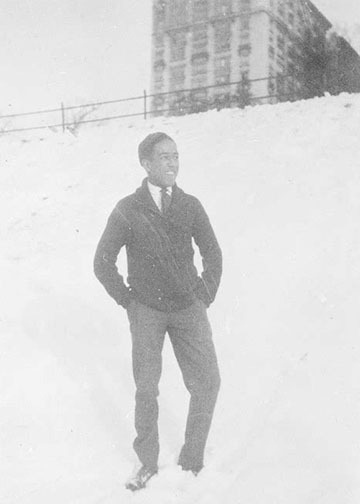 Langston Hughes at high school by Yale Collection of American Literature is in the public domain. Chapter 5 by Shantel Ivits is licensed under a Creative Commons Attribution 4.0 International License, except where otherwise noted.